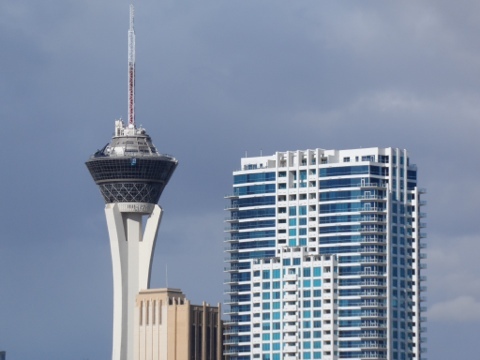 Today we had lunch in the revolving restaurant at the top of the Stratosphere casino (a bit like our Sky Tower). 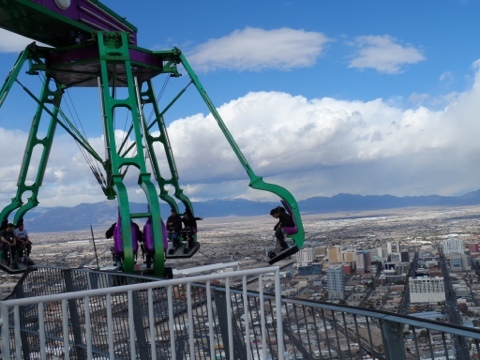 Amazing views of Vegas, great food, plus an amusement park with 4 terrifying rides that hang off the top of the tower – too awful for me to even watch for too long let alone have a go. After lunch Amy dropped me off at the Palazzo/Venetian. I took a couple of photos with my new camera and the battery went flat (I forgot to charge it). What was I to do??? 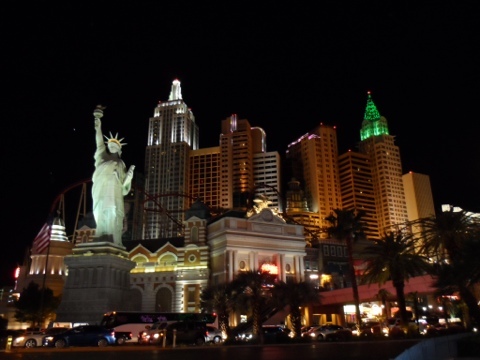 I can’t go somewhere and not take photos of it, it’s what I do! So I wandered around feeling utterly lost and hopeless. Went into the Venetian and saw the Gondolas but coz I couldn’t photograph them I wasn’t so excited about it. Then I got totally frustrated & lost trying to find MadameTussauds which is in the Venetian but the big directory board just confused me. Eventually I found it and had to use my cell phone camera to take pics of the mannequins – this museum was way cool you could touch the models and have your photo taken hugging them etc and I got to see Celine, she’s their latest addition. I found a camera shop which kindly agreed to charge my battery for me if I bought a charger – it will work in NZ so I figured it was worth it. 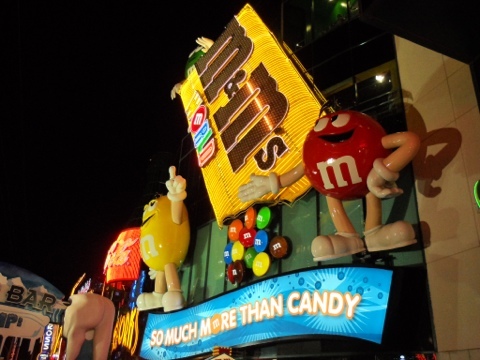 Then I headed down the strip to make my way to the M&M shop. 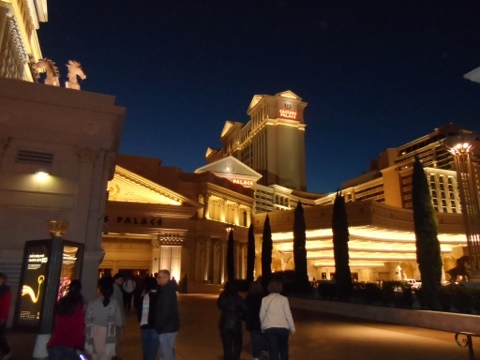 Along the way I went through Caesars again. Made it as far as the Coca Cola shop and M&M shop but didn’t go in coz I was running out of time and wanted to take photos of New York New York. Also found the Grand Canyon shop and managed to get myself on a whole day tour for tomorrow. Went inside the MGM Grand to wait for Amy to pick me up. Had a beer in the Rain Forrest cafe which was way cool. I got so sit on a Zebra legs bar stool at the bar and enjoyed a thunderstorm complete with rain that came down around the bar – totally awesome.